I've been a resident of Gwinnett county for over 4 years. There are still many places, restaurants, and attractions that I still haven't explored. When we moved to Georgia we had no idea how life in the south was. Coming from the Caribbean, everything in Georgia was completely new to us. I still remember asking the lady at the front desk, at the hotel we stayed for the first week, where could I buy a bed set. We had no GPS or smartphone that could help us navigate though the city. I could not differentiate the north from the south or the east from the west. She sent us to Lenox mall, which we never found, since we were scared to wander off too much and forget our way back to our hotel. We lived in Clayton county for a year, and during that time, I drove every single day to Gwinnett for my postdoctoral fellowship. Once you start spending time in Gwinnett is really hard to want to live in any other county. Gwinnett county is part of the Atlanta's metropolitan area, and is full of majestic parks, unbelievable restaurants, unique shops, museums, entertainment venues, incredible architecture, and has created a strong sense of community among their cities ensuring success through shared resources. Is a great place to raise children and live a happy life. Ever since we moved to Gwinnett, we always make the effort to visit places or venues we have never been. 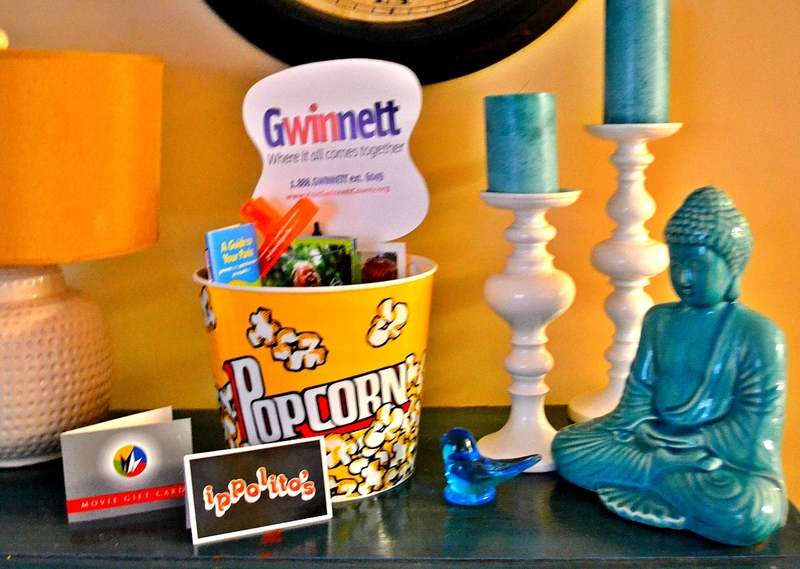 My favorite resource that always keep me in the loop on what's going on, is the Gwinnett Convention and Visitors Bureau. The Gwinnett Convention & Visitors Bureau is Gwinnett County's official tourism organization and is dedicated to strengthening Gwinnett County's economy by marketing the county as a destination for conventions, sporting events, meetings and leisure travel through sales, marketing and promotion. Their website is extremely helpful for families and visitors who wants to learn about Gwinnett or find out what to do during their visit. The Gwinnett Convention and Visitors Bureau also offers a wide range of services for visitors of the area, including complimentary assistance for meeting and event planners. The staff can help find venues for all types of events, as well as group tours, registration assistance and more. 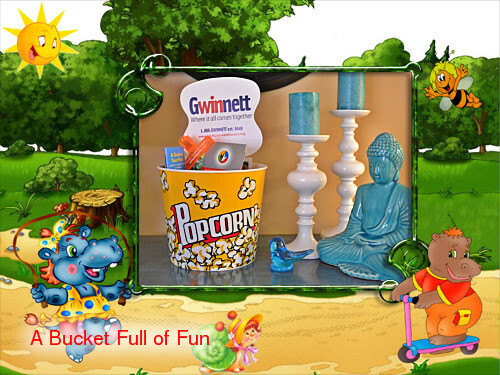 The Gwinnett Convention and Visitors Bureau or "Explore Gwinnett" in Twitter and Facebook has allowed us to give to one lucky reader a one-of-a-kind bucket. We call it a "Bucket Full of Fun". Included are some Explore Gwinnett goodies (movie candies, popcorn, mini Frisbee, pen, fan, chip clip), collateral/coupons for Gwinnett things to do, $25 gift card to Regal Cinema, $25 gift card to Ippolito’s Suwanee, and 3 passes for Hudgens Art Center (valued at $15). The bucket is also loaded with all types of park guides, and brochures to help you navigate through all the attractions our county has to offer. 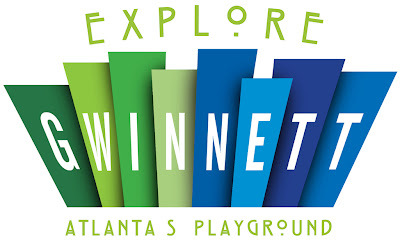 In order to win it all you have to do is like Explore Gwinnett on facebook (or Twitter for an bonus entry). Please make sure you enter using our Rafflecopter widget. We always make caramel pecan sticky buns, eggs, grits, bacon. Such a cute blog!! Will keep checking back and thanks for the giveaway entries! Just heard about this through facebook.. would love to win!